Jack Murphy was born on February 5,1923 in Oklahoma. 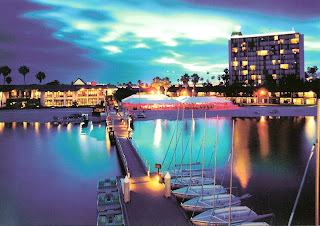 He is the older brother of legendary New York Mets broadcaster Bob Murphy. 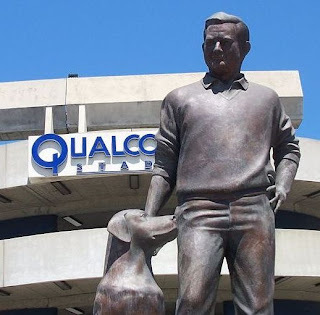 Beginning in 1951, Jack was a sports writer & editor for the San Diego Union news paper for the next thirty years. 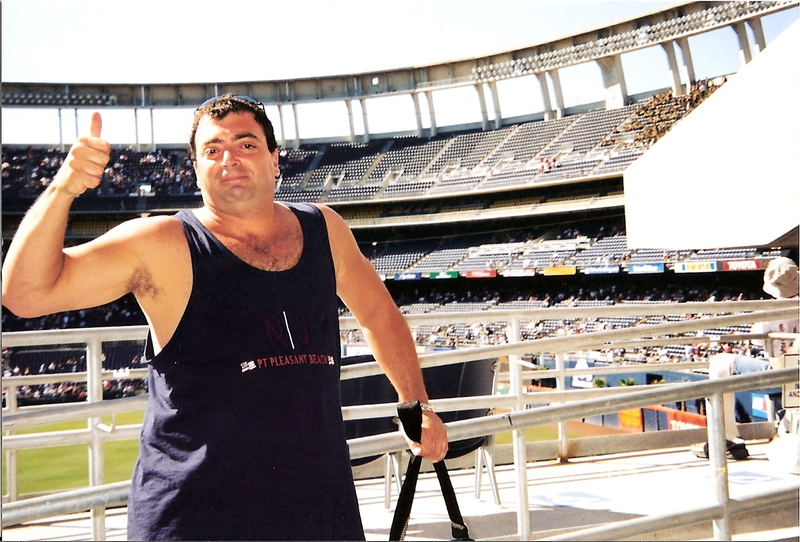 In the early sixties he began a push to get a professional multipurpose sports facility to the San Diego area. 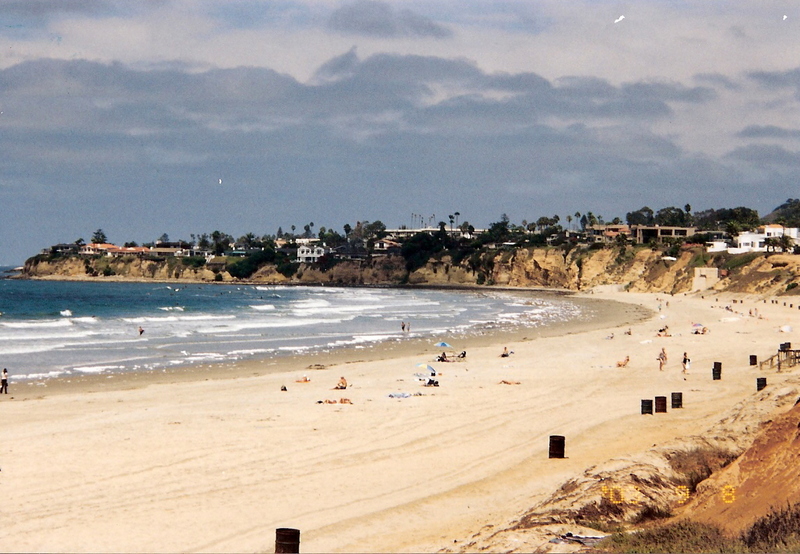 Murphy then helped lure the AFL football Chargers from the Los Angeles area, south to San Diego. In 1967 the Chargers played the first ever game in the new 54,000 seat stadium which would eventually be home to both the Padres & Chargers. 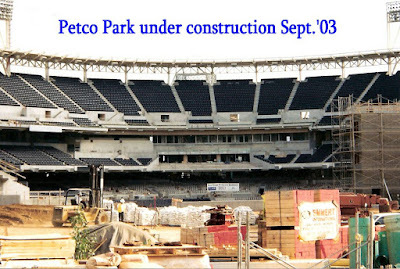 In 1969, Murphy was instrumental in bringing the San Diego Padres from the Pacific Coast League to the major leagues in the expansion of the National League. 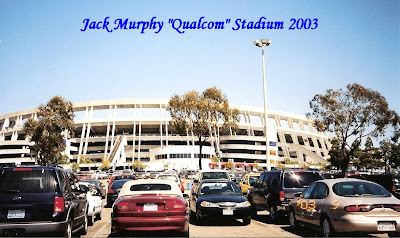 The stadium located in Mission Valley, was originally named San Diego Stadium & after his passing in 1980 it was renamed San Diego’s Jack Murphy Stadium in his honor. It soon became simply known as “the Murph”. 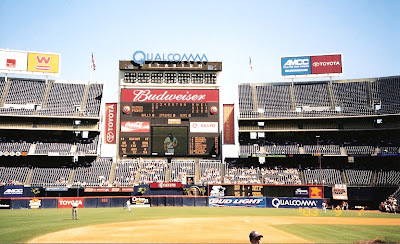 The stadium originally was a horse shoe shape, like the Polo Grounds, but with three tiers and a large scoreboard in the center of the open air space. 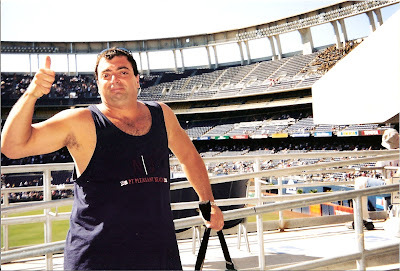 By 1997 the entire stadium was enclosed all around, the first of the square-circle "octorad" style, stadiums which was an improvement over the cookie cutter style. The stadium has hosted the 1978 & 1992 All Star Game, three Super Bowls (XX11, XXXII & XXVII) as well as the 1984 & 1998 World Series. 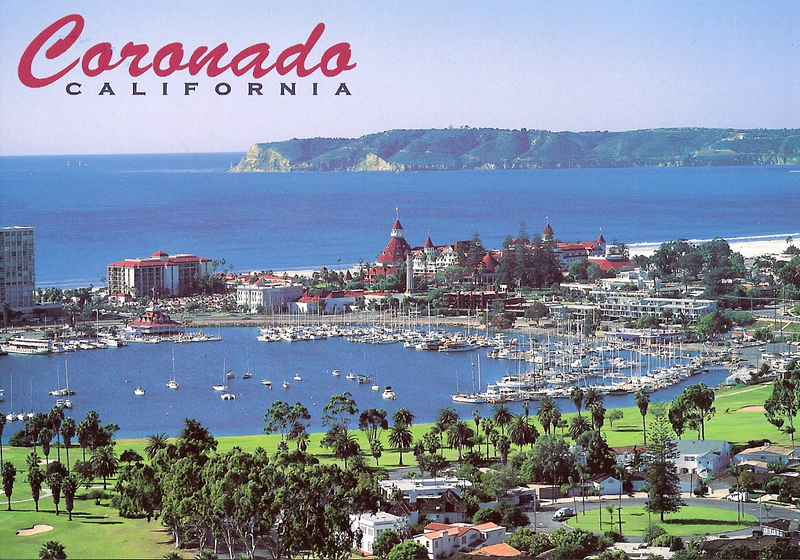 It also is home to the San Diego State University Aztecs college football team & hosts the Pacific Life Holiday Bowl and the San Diego County Credit Union Poinsettia Bowl in December. 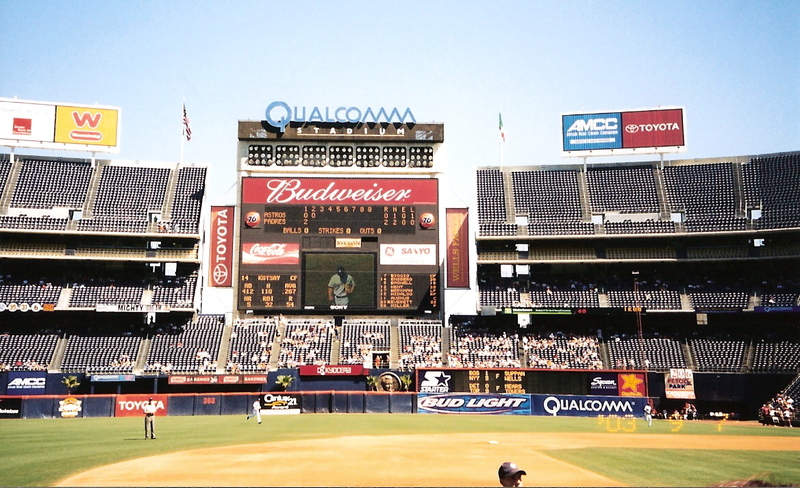 In 1997 the Stadium was renamed Qualcomm Stadium in a time where corporate sponsorship began to take over ball parks. Mets announcer Bob Murphy, always referred to the place as Jack Murphy Stadium during Mets broadcasts until his retirement in 2004. Many San Diegoians still call it that, the area around Qualcomm is called Jack Murphy Field. 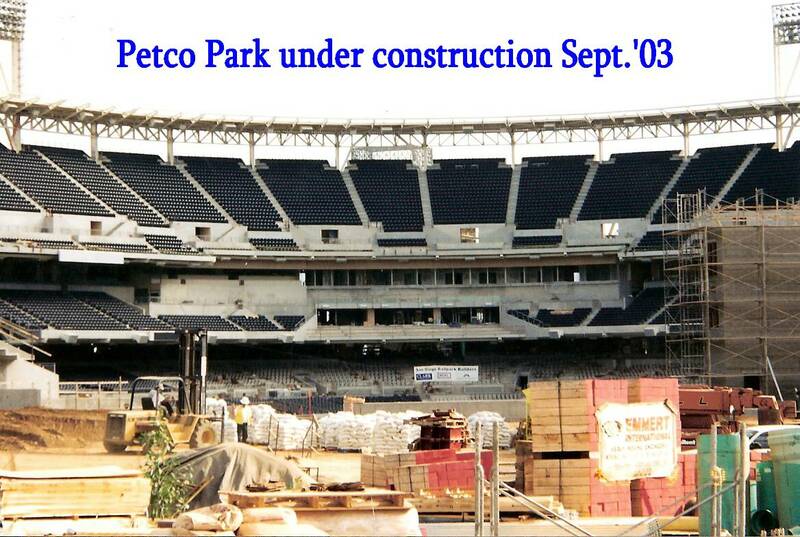 I was at Qualcomm Stadium in 2003, the Padres last season there before moving to the beautiful Petco Park in 2004. First off San Diego is probably the most beautiful city in the United States, with its miles of gorgeous Pacific Ocean beaches, Mission Bay & the modern metropolitan down town area. The main area downtown is the historic Gam Lamp Quarter which is filled with restaurants, bars & an amazing outdoor open air mall. The 16 block area was revitalized with the building of Petco Park, which saw hotels, condo’s & new business build up all around the area. 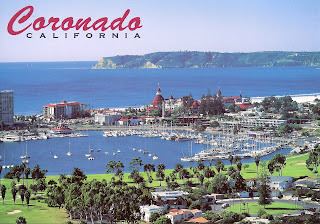 On our second trip to San Diego in 2006, we stayed on Coronado Island which is a resort paradise of its own. The island is one of the most expensive places in the country to live & is home to a US Navy base which trains the Navy Seals.